Investigator Sam Dyke has never met his son, Daniel. Until today. And then he wishes he hadn't. Because Daniel has a girlfriend who isn't really suitable ... and, it turns out, is missing. In fact, she's mixed up in a world of corruption and violence centering around the Ginger Twins - monstrous criminals who extend their crooked web from Liverpool to Manchester and all stops in between. 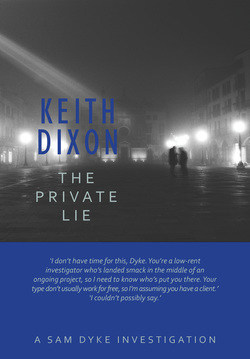 The Private Lie pits tough private investigator Sam Dyke against a double-threat - the Ginger Twins, and his own inability to know what's good for him. FEBRUARY 1942: The Struma, a broken-down steamer, explodes and sinks in the Black Sea, drowning 768 Rumanian Jews fleeing the Nazis and heading for Palestine, and safety. JUNE 1944: Thirty-one SAS soldiers are captured behind enemy lines and are forced to dig their own graves before being shot and buried in a forest in the heart of France. SEVENTY YEARS LATER: A young woman is attacked in the grounds of Edinburgh Zoo - the attacker seeking the document that might link these two wartime events. 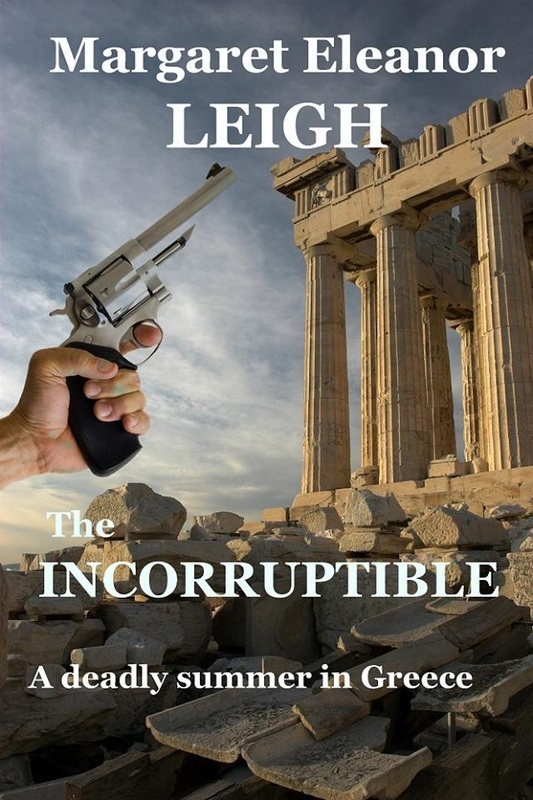 Private Investigator Sam Dyke rescues the woman and embarks on a quest to find out why the document she carries is being sought by a high-ranking Government official and his team of ex-Army thugs. Making a killing in business is one thing - doing it for real is another. Private Investigator Sam Dyke turns down a job that would require skills that he doesn't have - patience, computer-literacy, tact. Then he finds that the skills he does have - tenacity, aggression, street-smarts - are exactly the ones he needs for his next case - hunting down a cold-blooded murderer who seems to know what his every step will be. To solve the case Sam must negotiate with his ex-wife, cement a relationship with a new love, unravel an office-based financial fraud and fight off an arrogant murderer armed only with a pen-knife. For P.I. Sam Dyke, taking this particular case is not promising. A secretary is worried that her boss is cracking up, and she doesn’t know why. It doesn’t take Dyke long to discover that it’s not just the pressures of work that are getting to this man, a scientist. It’s his colleagues, too. Their leader, Stratford Greif, is a hyper-intelligent biochemist who has a personal philosophy that is taking him in one direction—to produce a calamitous event that may destroy the lives of hundreds of people. Or more. At last, together in one volume! To mark the publication of the fourth in the series, the first three Sam Dyke Investigations are now available in one edition. 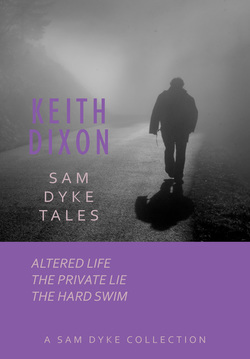 Altered Life, The Private Lie and The Hard Swim are Sam Dyke's first three adventures and show how this tough, no-nonsense private investigator battles against personal demons and bad guys intent on putting him away. Private Investigator Sam Dyke is hired to find a man who’s been released from prison and subsequently gone missing. But the ex-con is an ex-cop who might have been imprisoned for a crime that he didn’t commit. He said, ‘Let’s be clear: there are two things that I want to come out of this. First, I want to be sure I’m being followed. Secondly, I want to know by whom. Do we understand each other?’ How difficult could this case be? 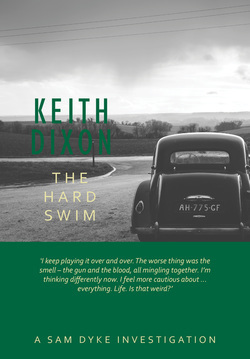 Private investigator Sam Dyke soon learns, however, that Frank Wallace, the client, hasn’t revealed the whole truth. And in the world of secret intelligence in which Wallace has earned his living for the last forty years, it’s probable the truth has rarely seen the light of day. 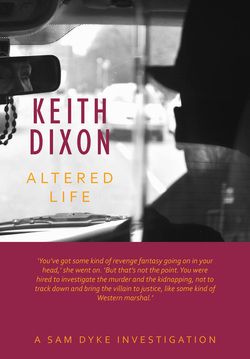 Dyke travels into London and out of his comfort zone, soon finding himself tangled in a web of deceit in which Government Intelligence services, mysterious blondes, private security firms and vintage Blues music are all bound together. Only he can clear a path through to find out what everyone really wants—and not just what they say they want. 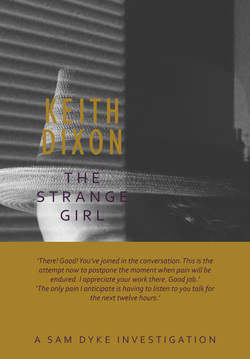 The Strange Girl, the last Sam Dyke thriller, was described as ‘diverting’ by trade bible The Bookseller, with Sam Dyke being ‘Crewe’s answer to Philip Marlowe’. 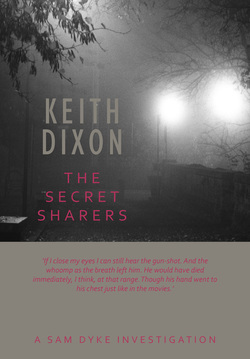 The Secret Sharers is the latest exciting instalment in this action-packed series. 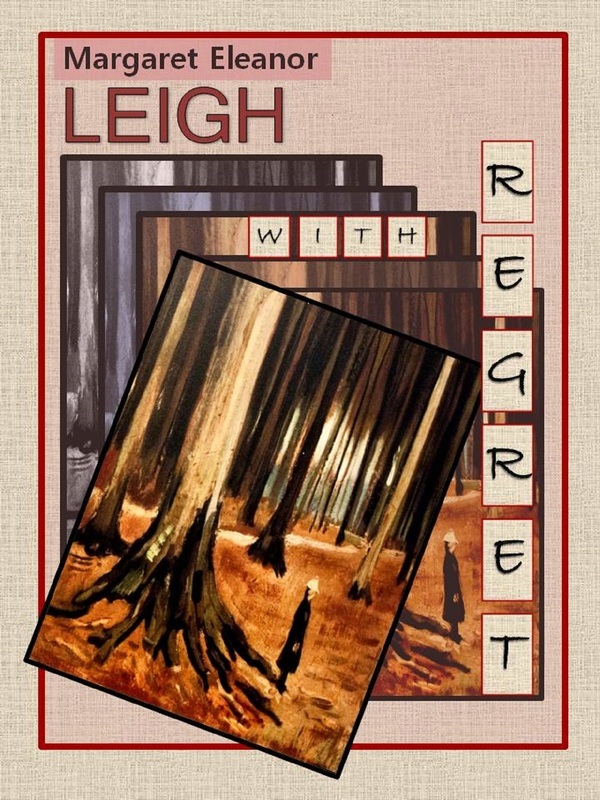 Art historian Charlotte James is trying to put the past behind her, as well she might. That criminal conviction isn’t anything to be proud of. So when a dodgy dealer called Evans comes tapping on her door, saying he’s got some ‘bits and pieces’ that no doubt fell off the back of a museum van, her immediate instinct is to walk away. But Charlotte really isn't in a position to be fussy about clients. Her art consultancy business is circling the plughole, and lately she’s been reduced to cataloguing teapots. So she ignores the voice of reason and good sense and steps into Evans’ world. Evans has somehow got his hands on a drawing that appears to be a genuine Van Gogh. There’s only one problem. The original is hanging on the walls of the Museum of Modern Art in Cardiff. Or is it? Thus, begins an investigation that will take Charlotte back to World War II, a time when London’s major art collections were evacuated to the countryside to avoid the Blitz. It was also a time that afforded someone the perfect opportunity for a little light forgery. In uncovering the crimes of the past, Charlotte must also confront the villains of the present, and this includes Evans. Assistance takes the form of her grumbling, reluctant accomplice, Gareth, and a bit like Sherlock Holmes and Watson, they’ve got their own unique chemistry. Trafficking in women is big business in Greece. Thousands of intended victims arrive in the country each year, unaware the respectable positions they’ve come to fill don’t exist. What awaits them instead is a brutal initiation into a dark world from which few escape and where mafia-style bosses ply their trade without let or hindrance. So when Agnes Jones comes along, cycling round Greece with her tent, her primus and her high-flown ideals, it doesn’t take long before she’s made herself a powerful enemy. The drama unfolds in a deceptively paradisiacal setting on the Peloponnesian peninsular. 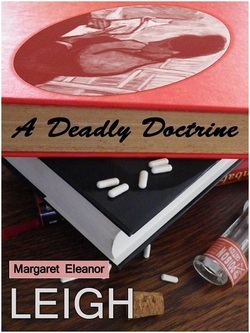 But Agnes Jones isn’t quite what she seems either: she’s not just a travelling journalist who has stumbled by accident into something dark and dirty. When Jake Summers, a university student, is viciously attacked and left for dead, newly promoted D.I. Fiona Brightman finds herself on the trail of a couple of young thugs embarked on a spree of brutal assaults. But soon the violence escalates and first a child and then a middle-aged woman are murdered in Hangman's Wood, with a fourth person missing: young and attractive Natalie Gower. 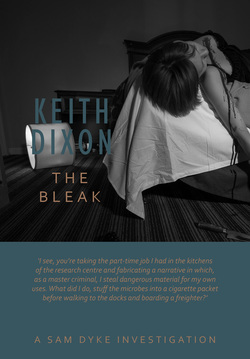 With time running out, can Brightman, dealing with a tricky marriage and still grieving from the death of her four-year-old daughter, stop the killers and find Natalie before they strike again? 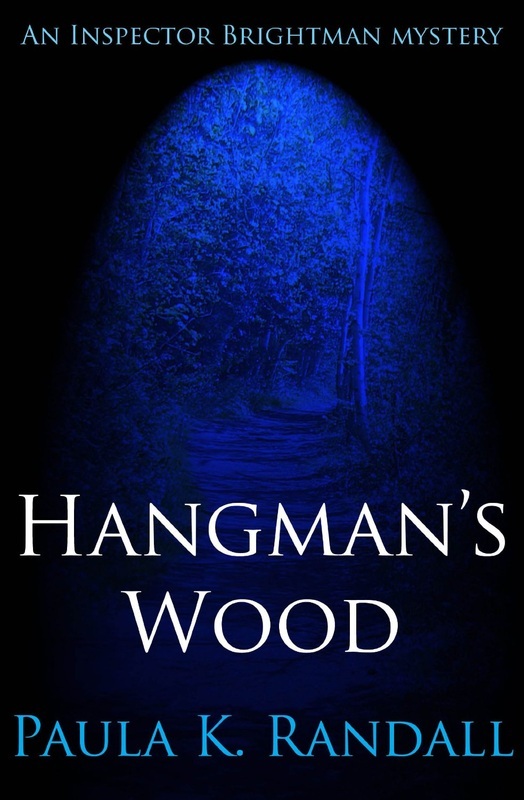 Brightman's search for the killers take her far afield from her home county of Suffolk to the Scottish borders and the Kent coast, at one point endangering her own life during a frantic chase through the notorious Hangman's Wood.